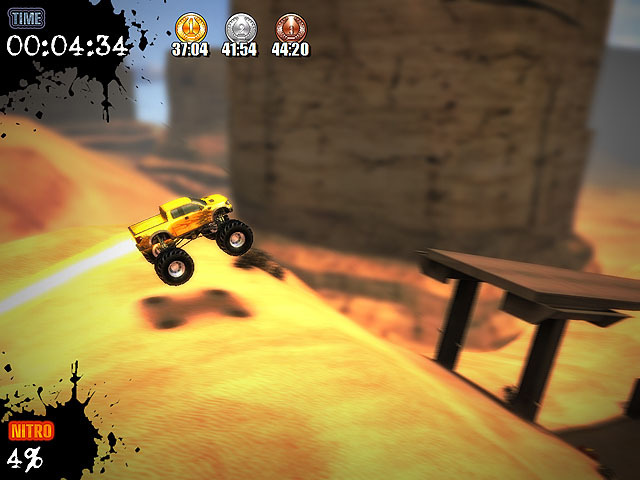 3D monster truck game. Get the best out of those monsters! Finish all the trials in the desert and the arctic land! Be fast and use the nitro boost to win the medals. Win a bronze medal at least to unlock the next level. Collect certain medal sets to unlock new trucks. Do tricks to earn additional nitro charge.